I want to start this thread to show you guys what we do on a day-to-day basis. Most of it goes on Facebook, but I realize that not many people have Facebook, so I figured this thread would be perfect! 16-row oil cooler hidden behind the front grill. Give us a call at (516)442-7155! Last edited by Kevin@RAD; 05-11-2013 at 12:50 PM. Engineered for quality. HKS GT1000 package exhaust, rear section for the R35 Nissan GT-R. 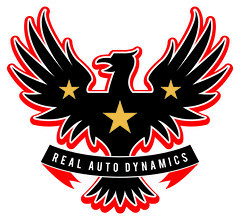 Step 1: Build Engine at Real Auto Dynamics. We have 1 set of HR Berk Test Pipes in stock RIGHT NOW!! Claim it as yours today by giving us a call, Facebook PM or email! It'll come with a special "installed" price! Lowered on BC Coilovers, with a new short shifter and shift knob, on a set of new shoes, this 2011 Nissan 370Z was delivered yesterday, just before the meet. Cmike2780 and GaleForce like this. Volk Racing G25 wheels, fit so well with the R35 Nissan GT-R.
How are you starting off the weekend? We're starting our weekend off with this Firestorm Scion FR-S. I have been neglecting this sub-forum for the past year, so I hope I can revive it. Twin Turbo or Supercharged? What's your pick? Built Engine going in next! Ride height preset for Reggie's bagged G35x Sedan.